Note: A 2014 hunting (or hunt/fish combo) license is required to apply for the draw. Licenses for this spring draw are only available for purchase online, at Game and Fish offices, or through the draw process. They are not available at license dealers for this draw. If you haven't yet submitted your application for the 2014 spring draw for turkey, javelina, buffalo or bear, there is still time. The deadline is Tuesday, Oct. 8, by 7 p.m. (MST). Applications can be submitted using the online service, or paper applications can be hand-delivered to any of the seven department offices located statewide in Pinetop, Flagstaff, Kingman, Yuma, Tucson, Mesa or Phoenix. If you typically mail in a paper application and haven't yet done so, it is recommended that you hand deliver it to a department office to make sure it is received by the deadline. Postmarks don't count. Also remember that if you are dropping your application off on deadline day, department business offices (front counters) for license sales will close at 5 p.m., although draw applications will be accepted at department office locations until the 7 p.m. deadline. There are some important things to keep in mind for this draw. A 2014 hunting license or hunt/fish combo license is required to apply for the 2014 spring draw. Those licenses for this particular draw are only available for purchase online, at Arizona Game and Fish Department offices, or through the draw application process. They are not available for purchase at license dealers for this draw. The license you buy will be valid for the 2014 calendar year. A new license structure and license/tag fees will be going into effect in 2014, but those new 2014 licenses won't be available for purchase until Jan. 1, 2014. 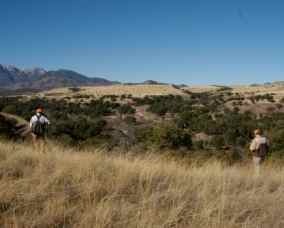 Hunters applying for the 2014 spring draw must use the current hunt permit-tag and license fees listed on page 4 of the 2014 Spring Turkey, Javelina, Buffalo and Bear Hunt Draw Information booklet. For individuals applying online, those fees will be automatically calculated for you by the online system. Due to decreasing participation in the paper application process and the availability of the online application system that virtually prevents applicants from making application errors, the Arizona Game and Fish Commission has eliminated the paper correction period starting with the 2014 spring draw. If you use the online system, you must pay the application fee and the fees for any licenses you purchase at the time of application. Credit and debit cards are the only forms of payment accepted for online applications. Once the draw takes place, and IF your online application was successfully drawn, the department will charge the credit or debit card you have on file for the permit (tag) fee. If payment fails, the department will make three attempts within two business days to contact you and notify you that your payment has been declined. You will then be afforded a means of providing alternative payment within a specified timeframe. If the department has not received an alternate payment at the end of that specified timeframe, applicants will be rejected. No exceptions will be made for individuals who do not respond to the department's attempts to contact them. 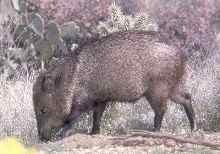 Printed copies of the 2014 Spring Turkey, Javelina, Buffalo and Bear Hunt Draw Information booklet are available at Game and Fish offices and at hunting license dealers statewide. The booklet is also posted online at www.azgfd.gov/draw.